This week, we’re taking a look at locum pharmacists and professional indemnity insurance. This may be of particular interest to all you Pre-Reg pharmacists out there who are completing your exams in June! So, what is professional indemnity insurance, why do you need it and where can you get it? 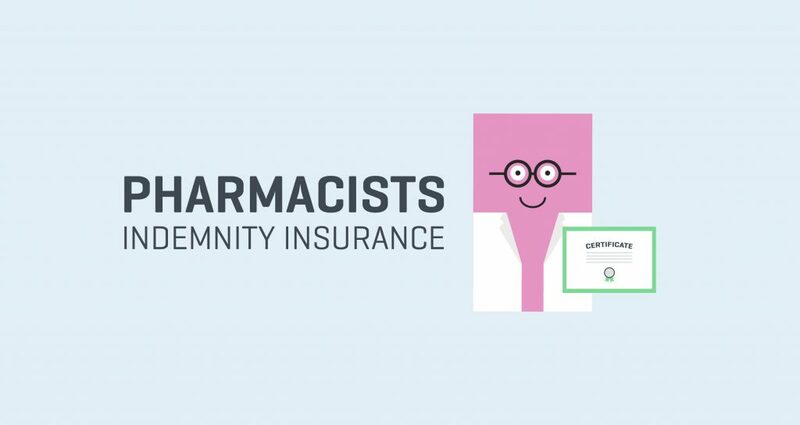 Your pharmacist indemnity insurance is a policy that has been designed to protect pharmacists and pharmacy owners when they are perceived to be at fault in relation to specific events, such as a dispensing error. Indemnity insurance protects both pharmacies and pharmacists against claims regarding their conduct. Indemnity insurance is also referred to professional liability insurance. Why Would A Pharmacist Need Professional Indemnity Insurance? Just as it is a legal requirement to have insurance if you want to drive a car, It is a requirement of your professional registration to have indemnity insurance which covers all aspects of your professional role. Pharmacists need professional indemnity insurance to protect them from civil claims regarding negligence or malpractice suits. Locum pharmacists require indemnity insurance as they work in multiple locations. Specific pharmacies carry their own insurance packages, but individual locums must also protect themselves to ensure they are supported when a claim is made or alleged against them. Your insurance provider may also get involved with contract disputes, such as occasions when you are not paid properly or an employer has not fulfilled their part of an employment agreement that the two parties have entered into. For pharmacies, insurance providers can act proactively to help organisations manage and assess risk within their pharmacy setting. Who Provides Indemnity Insurance For Locums? In alphabetical order, the three most recognisable bodies that provide pharmacists with indemnity insurance are the National Pharmacy Association, the Pharmacist’s Defence Association & the Pharmacy Insurance Agency. All of whom provide a mixture of professional and legal advice, legal representation, industry news and proactive training to help manage risk to both pharmacies and pharmacists. Individual providers will require you to renew your insurance at different points during your relationship with them. Fees and costs may depend on your actions throughout a previous term. Many providers provide free pre-reg insurance, or reduced insurance, for newly qualified pharmacists. If you’re paying monthly and annual fees for professional indemnity insurance, you need to have a steady flow of locum work to justify your studies and your fees. Registering with Locate a Locum gives you access to over 4000 locum pharmacist shifts every month. There are currently over 8000 participating pharmacies across the UK, posting shifts in your town or city! Do you want to be a Locum? You'll need accountancy services, so check out our blog relating to finding you the best services in the UK! Check out our DBS blog!